Location, Space, Light and Views! 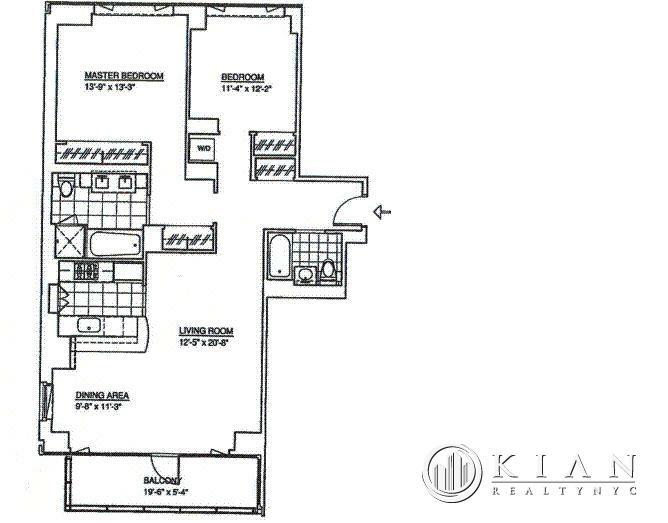 This high floor 2 bedroom 2 bathroom is a corner unit highlighted by duel East and Western Exposures, 10’ ceilings, a private balcony, washer dryer, and just about 1,300 square feet of living space. The open chef’s kitchen offers Sub Zero, Bosch, & Dacor appliances, black granite countertops and custom cabinetry. 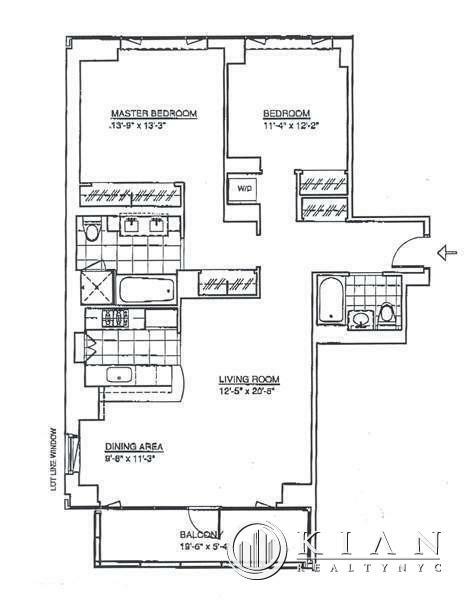 Both bedrooms are large and bright with very accommodating closet space. The bathrooms feature marble, walnut wood vanities, Kohler & Waterwork fixtures and a deep soaking tub in the master. Sorry, No Pets. The Full Service luxury building is one of the newest and most coveted residences on 5th Avenue. The amenities are comprehensive and unparalleled. There is an entire floor dedicated to relaxation and exercise featuring a 50 foot lap pool, massage room, yoga room, aerobic room with state of the art machinery, media screening room, business center, free wi-fi, lounge w/ fireplace, catering kitchen, outdoor space, and a children’s play room. The building also offers a garage, valet services, concierge, and doorman. Amazing location steps to Herald Square, shopping, dining, entertainment, and all transportation.